Thanet Festival Choir was founded (as Margate Festival Choir) in 1946. 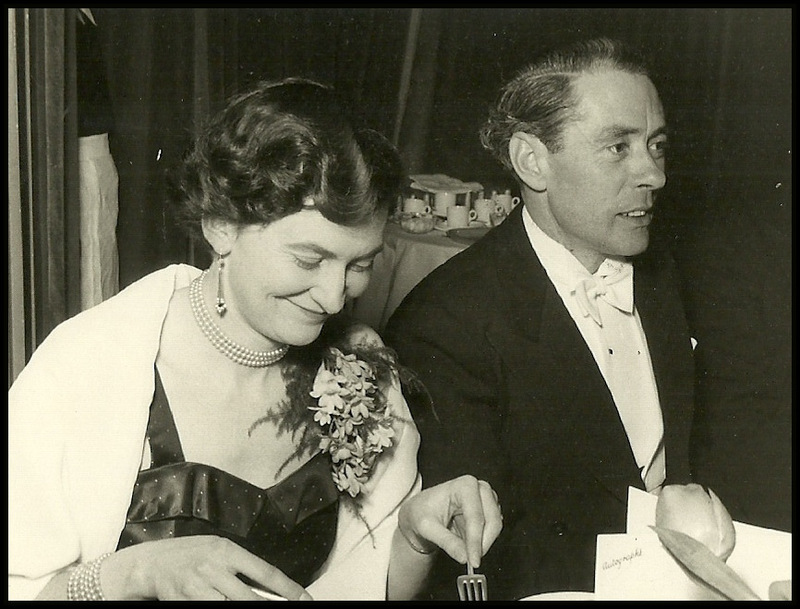 George Vesey, our Founder, was at the time Organist and Choirmaster of the Margate Congregational Church. The ‘Isle of Thanet Gazette’ reported on 6th September that there was to be a three-day music festival at the Winter Gardens from 25th October, and that ‘a festival choir‘ was being organised for performances of Merrie England on the first evening and Elijah on the third. 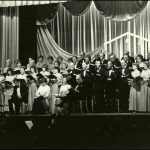 The concerts were well-received and performances of Messiah and Mendelssohn’s Hymn of Praise followed. 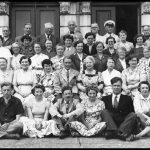 There then appears to have been something of an hiatus, but the Choir’s ‘Minute Book’ records a general meeting on 24th May 1950 ‘for the purpose of re-instating the Margate Festival Choir under the leadership of Mr George Vesey’. 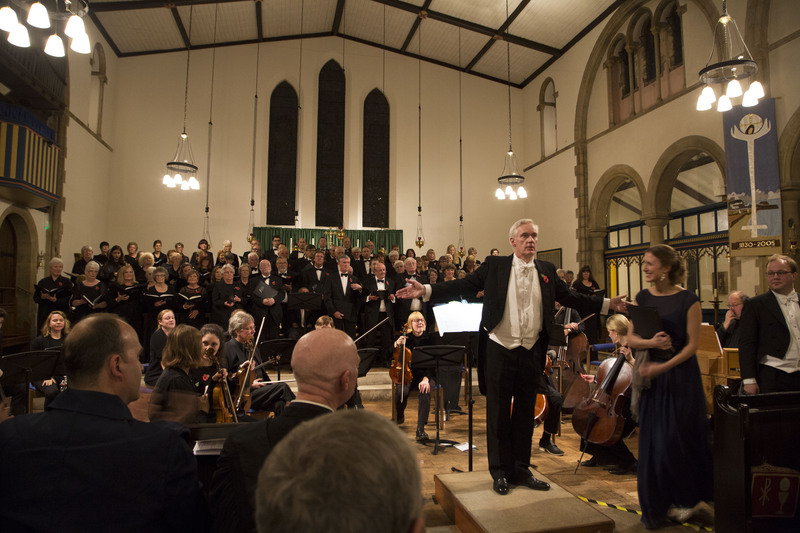 The Choir performed regularly during the next few years with most concerts taking place at Margate Congregational Church. 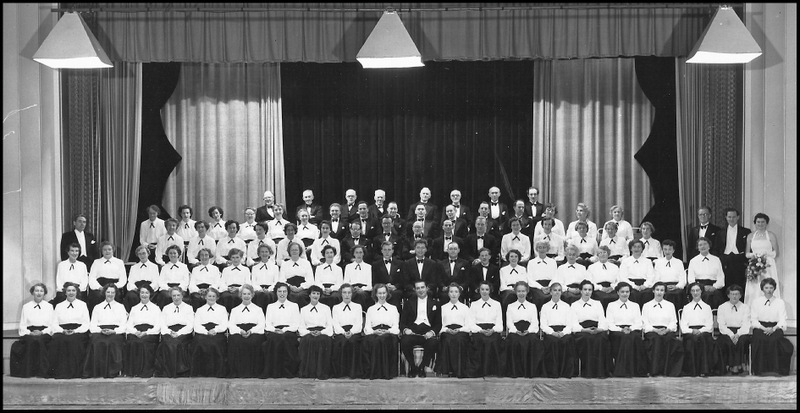 In 1955, the Choir took part in the International Eisteddfod in Llangollen, and in the following year members undertook a short tour to Germany. 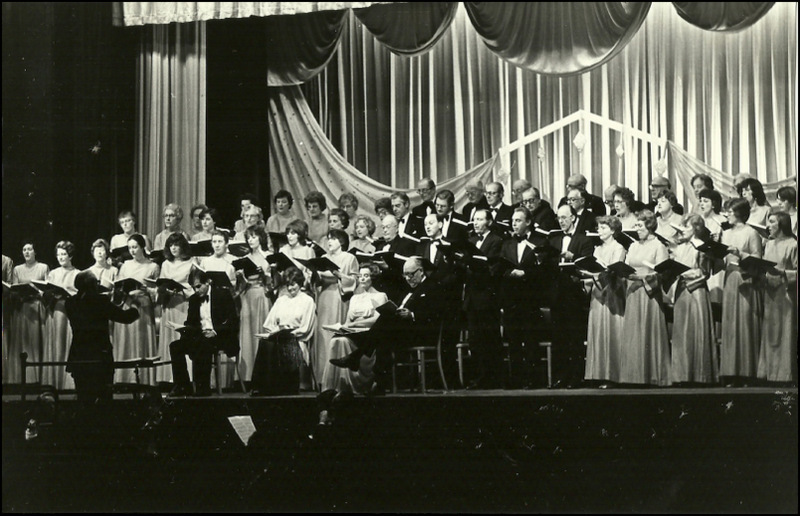 During the 1950’s and the early 1960’s, the Choir performed at the Purcell Room, featured in several radio broadcasts and took part in the ‘Top Town’ and ‘Let the People Sing’ television series. 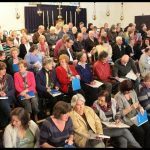 The name was changed to Thanet Festival Choir in 1973; by this time the Choir had established a regular pattern of concerts to which it largely still adheres today; oratorios or other religious works at Easter and in November, a Christmas Carol Concert in December and lighter works in the summer. The Choir appeared on television with Benjamin Luxon in 1989. 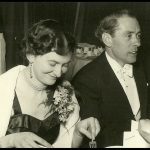 Shortly after this, George Vesey retired as Music Director, but he remained as Vice-President until his death in 1995. 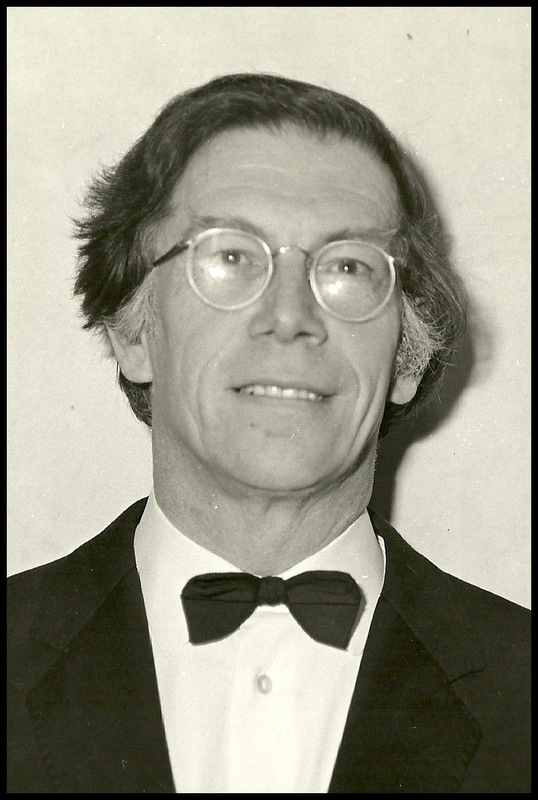 George was succeeded by James Gillespie who had been the Choir’s accompanist since 1958. 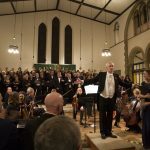 Under James’ direction, the Choir gave several performances of works by Gilbert and Sullivan, performed Messiah, Elijah, Creation and Bach’s St John Passion at Margate’s Winter Gardens and took part in a Christmas Festival with Paul Neville and the Kent Concert Orchestra. James’s final concert as Music Director was a fiftieth anniversary Dream of Gerontius in 1996. He continued to support the Choir as Vice-President until his death in 2015. 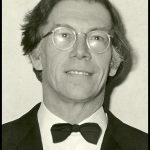 Under the leadership and inspiration of our current Music Director, Clifford Lister, our numbers have increased, we have learned a great deal about singing, and we have developed in new directions. Clifford has introduced us to a wide range of new repertoire, including opera choruses and modern works such as Karl Jenkins The Armed Man and Howard Goodall’s Eternal Light. In 1998, the Choir visited Les Mureaux in France for a joint performance of Bach’s Magnificat, with the French choir visiting Thanet for a repeat performance in 1999. 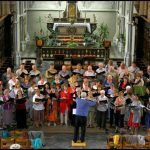 More recently, we have established a relationship with La Chorale Guillaume Dufay de Chimay, Belgium. 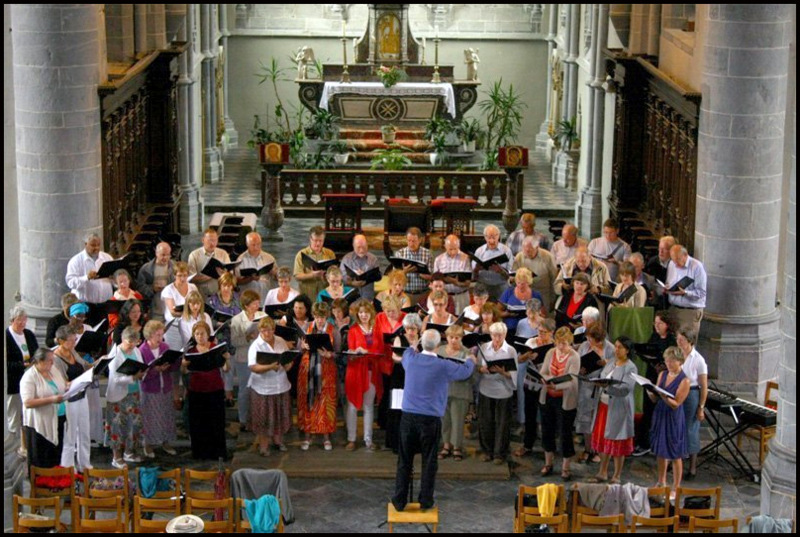 So far, we have visited Belgium twice and the Chorale has visited Thanet twice – most recently in June 2015, when the two choirs sang together in a performance of Vivaldi Gloria and Haydn Missa Brevis Sancti Johannis de Deo in Broadstairs. 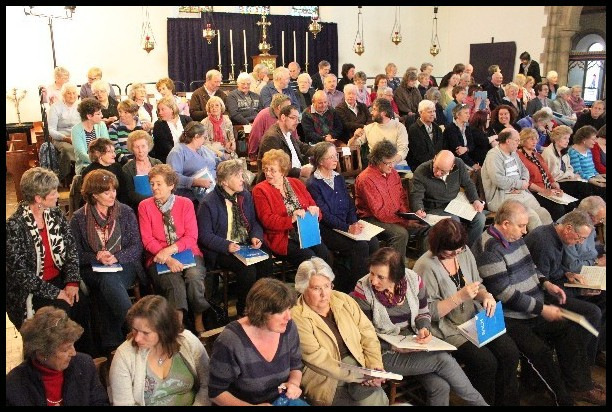 If all goes according to plan, members of the Thanet Festival Choir will visit Chimay in May 2019. Other recent highlights have been Mozart Great Mass in C Minor, Bach St Matthew Passion, Mozart Requiem and Mendelssohn Elijah. Perhaps the crowning glory of all was a joint concert with Sutton Valence Choral Society, of the Verdi Requiem in Canterbury Cathedral in October 2013 – although our recent 70th anniversary performance of Handel’s Messiah was rather special, too. See concerts and events to find out what our recent history will be in a year’s time! Click on the small photographs to see a larger version.